Non-IT people don’t spend time thinking about help desk software. When they interact with their IT Help Desk, many of them subconsciously believe they’re using a magical portal where they express their lamentations, and an IT worker with his or her magical skills will make everything better. This setup is actually beneficial to both IT workers and civilians. The less they have to think about how they’re interacting with the powerful wizards behind the IT Help Desk, the happier they are. And happy civilians make for happy IT workers. That’s why your Help Desk software is so important, and it’s one of the reasons why web-based Help Desk software is poised to take over. 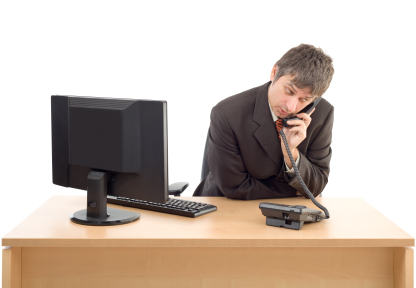 Here are some of the pros and cons of moving all your Help Desk to the Web. Web-based Help Desk software is part of a cloud-based delivery model that is revolutionizing the enterprise software landscape, and with good reason. For one thing, it’s “on demand,” since it’s available to the user through the internet, where the hosting company or service provider is tasked with managing the software. And you can access it from anywhere. Cloud-based Help Desk software is already part of this revolutionary software delivery solution. On-demand Help Desk software is obviously faster than installing it on the premises. What’s more, top web-based help desk software providers frequently offer 30-day trial periods with no up front capital investment. What’s not to like? With premium web-based Help Desk software, not only can you try it before you buy it, you don’t have to deal with annual maintenance contracts that have had all their escape clauses welded shut by overly eager legal teams. Plus, you don’t have to buy and maintain servers, install software, or worry about patching or upgrading it. In most cases, a simple predictable subscription fee schedule is all you have to deal with. PRO: Who Wants to Spend Time Elbow-Deep in a Server? Nobody, that’s who. With on-demand software, your resources are available for services that benefit your company’s bottom line. If your IT team is spending too much time placating servers and installing software patches, you may be spending money on overhead that could go toward other things. Before, once you bought your software license and signed on the dotted line, your provider was paid and didn’t really have much incentive to go out on a limb to keep you satisfied. With web-based Help Desk software or any other kind of on-demand software, your vendor has to earn your business continually by providing ongoing competent service. When your cloud-delivered software upgrade is ready, you don’t have to worry about testing your infrastructure or going through the tedium of upgrading. You get instant added value from upgrades, and your functionality improves painlessly. As a result, you’re always using the latest release, and the software provider isn’t spending time testing upgrades on user equipment or supporting outdated versions of their products. Not all providers of web-based Help Desk software are experienced enough with the cloud-based delivery model to know how to avoid problems. And if you should go with one of these providers, you can’t just reinstall or use someone else’s computer, because your colleague has the same web-based software. The lesson: choose your provider of carefully. Avoid providers who don’t have rigorous security management and a comprehensive backup and disaster management plan. Just because a software package is cloud-delivered doesn’t mean it’s a joy to use. There is nothing inherent in web-based software that makes it immune to clunky interfaces and confusing design. With web-based Help Desk software, the pros easily outweigh the cons, that is, as long as you choose your provider carefully. By the time your kids are in the workforce, the concept of installing software that doesn’t flow from the web will seem as obsolete as using carbon paper to make copies. And if you’re interested in trying out a web-based package now, SAManage’s IT Help Desk is a great place to start.